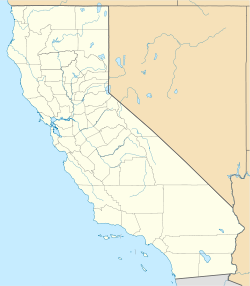 Felicity is an unincorporated community in Imperial County, California, It lies at an elevation of 285 feet (87 m). Founded on May 11, 1986, the town "Dedicated to Remembrance" was named for his wife Felicia by founder Jacques-Andre Istel. It is accessible from Interstate 8 in the far southeast of the state, just west of Yuma, Arizona. Jacques-Andre and Felicia Istel had it officially declared as the "Center of the World", and have developed the Museum of History in Granite. ^ a b "Desert monument captures history on stone". Los Angeles Times. 16 April 2008. (Subscription required (help)). ^ a b Burke, Anne (2 January 2019). "A strange museum at the 'centre of the world'". BBC. Archived from the original on 6 January 2019. This page was last edited on 12 January 2019, at 01:19 (UTC).